The High Passes trek is one of the most challenging treks available in Nepal. Located entirely at the Everest (Khumbu) region, you must cross three individual passes which are above 5,000 meters. It is comparatively a lengthier trek compared to most other treks in the region. Kongma La 5,535 m, Renjo La 5,360 m and Cho La 5,368 m are classified as the 3 high passes. The first leg of the trek begins at Lukla, a small airport town in Khumbu. The trail ascends up towards Renjo La and Gokyo valley. The second leg of the trek passes through Cho La Pass, and towards the Everest Base Camp. You can hike up the Kala Patthar 5,643 meters as well. The third leg takes you towards the Kongma La Pass, and concedes at Lukla. Renjo La is one of the high passes located in Everest region at an elevation of 5,360 m (17,585 ft). It is the first pass you reach, following the path leading to Gokyo. The Renjo La trail is quite strenuous; snowfall during winter makes it difficult to attempt the pass. Renjo La and surrounding regions are culturally Tibetan and Sherpas are the indigenous tribesmen. Cho La at 5,420 m (17,782 ft) is another high pass located along Gokyo trail in Khumbu valley. It connects the village of Dzongla to the east and the village of Thagnak to the west. One can cross Ngozumpa glacier on the way to Cho La. To the east the trail joins the classic Everest Base Camp route. Crossing Cho La can be physically demanding. One can get best view of Lobuche peak from the top. Crampons come handy while crossing the snows. Kongma La at 5,535 m (18,160 ft) is another high pass located between Chjukung village and Lobuche. it is the final pass located to the east of Everest Base Camp. It is also the highest pass among the three passes. The panorama of surrounding mountains is quite amazing when seen from Kongma La. ACAP is one of the first conservation projects undertaken in Nepal to conserve, protect and decentralize the nature conservation attempts. It spans over 5 different districts and covers the entire Annapurna massif. It is also the largest conservation areas available in Nepal. 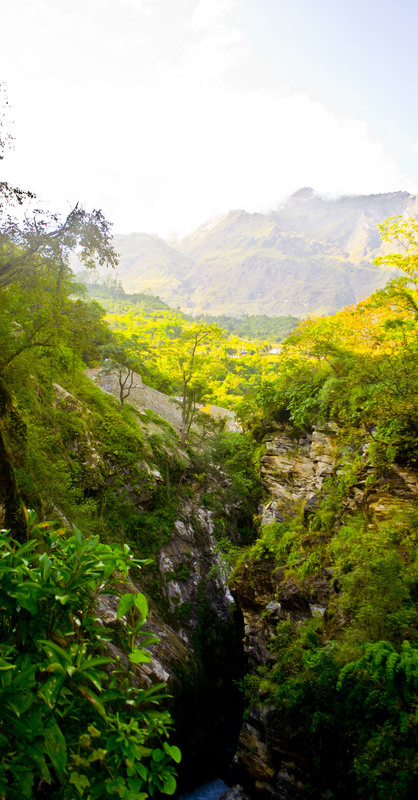 Annapurna Conservation Area or ACAP is located at the mid-western region of Nepal. It covers 7,629 sq.km and spans over 5 different districts, namely; Manang, Mustang, Kaski, Myagdi and Lamjung. The ACAP HQ is located at Ghorepani village, one of the most visited tourist places in Nepal. The area has two distinctive climatic regions within a span of 120 km. The southern hills of ACAP region receive frequent rainfall, whereas, the northern most parts receive no or less rainfall, hence, the latter are known as rain-shadow areas. The deepest gorge in the world – Kali Gandaki, and Annapurna I – Eight-Thousander, is located inside the ACAP. Gurung and Magar are the predominant ethnic tribes in the lower ACAP regions, whereas Thakali, Manange and Loba are mostly found in the higher regions. Tourism is undoubtedly one of the major benefactor of the ACAP project. The proceeds received from the permits are used for the local conservation programs. ACAP is rich in biodiversity and is a haven for the 1,226 species of flowering plants, 102 mammals, 474 birds, 39 reptiles and 22 amphibians. ACAP was launched in 1986 with the initiation of King Mahendra Trust for Nature Conservation (KMTNC) to protect the environment with sustainable community development in Annapurna area by the local people without any intervention from the Nepalese Government and/or any other institutions. It was gazetted in 1992 and is managed by the National Trust for Nature Conservation. The main motto of the project is to conserve the resources, tourism management, community development, education and extension. ACAP with the participation of the trekkers have been able to increase the standard of living of the local population, protect the environment and develop sustainable tourism. A trekker is required to obtain an ACAP permit before entering the region. Hence, anyone doing these treks must obtain the ACAP permits. The region receives more than 100,000 trekkers in a year, mainly due to the popularity of the base camp and circuit trails. Jomsom is a small town located in the discreet region of Mustang district. The Muktinath temple in the outskirts of Jomsom is major attraction of the region. A tourist destination, Jomsom is also an important economic and geographic hub connecting Nepal with Tibet. Jomsom is the district headquarter of Mustang region. It connect Upper Mustang with other important cities in the South. Also known as Dzong-Sampa or New Fort, it is located at the altitude of 2,700 meters; and covers Kali Gandaki river on both sides. The Dhaulagiri and Nilrigi peaks are clearly visible from the town, along with the northern side of Annapurna mountain range. It is 67 km away from the tourist city of Pokhara. You can choose to take a short flight, bus or jeep to Jomsom from Pokhara. The road can be treacherous throughout the year due to its poor condition. It goes along the side of Kali Gandaki until Jomsom, and passes through important towns of Beni, Parbat, Lete and Marpha. The region is also popular for its unique apples and locally produced wine. Marpha exports most of its apples and wines to nearby towns. It also forms a section of the greater Annapurna circuit trek and Upper Mustang trek. One must reach Jomsom to access the discreet Upper Mustang region, however, you aren’t required to obtain ‘restricted area’ permit to reach until Jomsom. Muktinath is a temple located at the Muktinath town in the outskirts of Jomsom. Located at 3,710 meters on the foot of Thorong La pass, it is mostly visited by both Hindu and Buddhist pilgrims. In Hinduism, the temple is considered to be 106th among the available 108 Divya Desam (premium temples) considered sacred by the Sri Vaishnava sect. The Hindu pilgrims must visit the temple one their lifetime and offer prayer along with holy bath under the 108 stone taps available inside the temple premise. In Buddhism, Muktinath is considered an important place of dakinis, goddesses known as Sky Dancers, and one of the 24 Tantric places. They understand the statue to be a manifestation of Avalokiteśvara, who embodies the compassion of all Buddhas. It is believed that, Guru Ringpoche (the founder of Tibetan Buddhism) mediated at Muktinath before heading towards Tibet. The temple is located 22 km away from the Jomsom town. One must take a locally available jeep, mule or bus to reach Muktinath. You can also choose to trek. The area is flourished with newly opened hotels, restaurants, shops and other services. Due to its sheer altitude and geographical proximity, the temple remains inaccessible throughout Monsoon and Winter. Leah Thomas & Her Mera Peak Feat! Leah Thomas (26) hails from Vermont, USA. An outdoor enthusiast, she guides rock climbing trips at Cat Ba, Vietnam through Asia Outdoors. She recently completed her 17 days trip to Mera Peak summit. An arduous climb, Mera Peak makes up for the highest climbable small peaks in Nepal. At 6,476 meters, Mera Peak makes an exciting trip which includes both trekking and minimal climbing experience. From the start, Caravan Outdoors was really easy to work with. I talked mostly to Salman who helped me through each step of the process of getting signed and getting to Nepal. I had never done anything like this before, climbing a peak, and they were very helpful in directing me to what I needed to get and do before arriving. I ended up being the only one on my trip, but it was great. I summited Mera Peak (6400+ meters) which I had my doubts on doing since I was coming directly from sea level, but was able to do it with no major problems! It was a great experience, the guides were amazing, the trip was amazing! I can’t say enough good things, I’m already looking to go back and do anther trip! Gosainkunda is one of the most revered sites inside Nepal. The lake situated at Gosainkunda is visited by millions of devotees and tourists throughout the year. It’s mostly visited during the local festival of Janai Purnima. 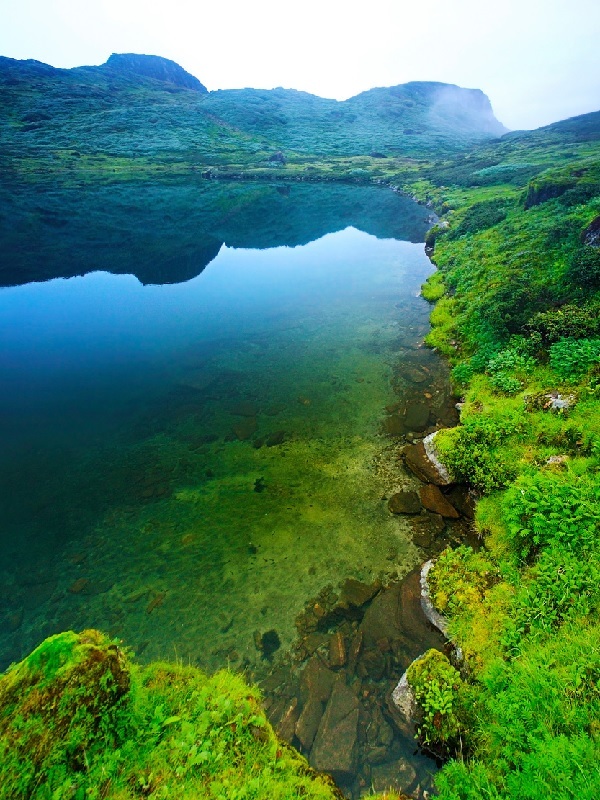 Gosainkunda is a fresh water oligotrophic lake located inside the Langtang National Park of Rasuwa district. Situated at the altitude of 4,380 meters, you must trek for days before reaching the holy lake. It has a surface area of 13.4 ha; and it was declared a Ramsar site back in 2007. The lake freezes and remains inaccessible throughout October-February. Spring (March-June) and Autumn (September-October) are the best times to visit Langtang region. The weather remains clear during these times of the year. It makes up for many sources forming the Trishu river. There are 108 smaller/larger lakes in the area. The Hindu mythology of Puranas attributes Gosaikunda as the abode of the Hindu deities Shiva and Gauri. The Hindu scriptures and the epics Ramayana & Mahabharata refer to Samudra manthan (Churning of the Sea), which is directly related to the origin of Gosaikunda. 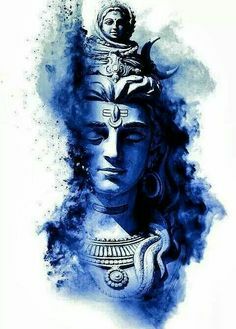 It is believed, Lord Shiva created the lake when he thrust his trident into a mountain to extract water to quench his thirst after swallowing the poison. The water of the lake is considered holier and significant during the events of Gangadashahara and Janai Purnima. Thousands of pilgrims make a visit on foot to Gosainkunda during these festivals. Gosainkunda forms a greater trekking trail in Langtan region. It can be reached during both Dhunche-Helambu trek and Langtang trek. Lauribina La Pass at the altitude of 4,610 meters forms the toughest part of the treks. The surrounding mountains of Langtang Lirung and Ganesh Himal are clearly visible during the trek. The farthest you can reach is at Kyanjin Gompa inside the national park. Langtang National Park was established in 1976 as the first Himalayan national park in Nepal. It covers an area of 1,710 km2 and covers 3 different districts, namely; Nuwakot, Rasuwa and Sindhupalchok. 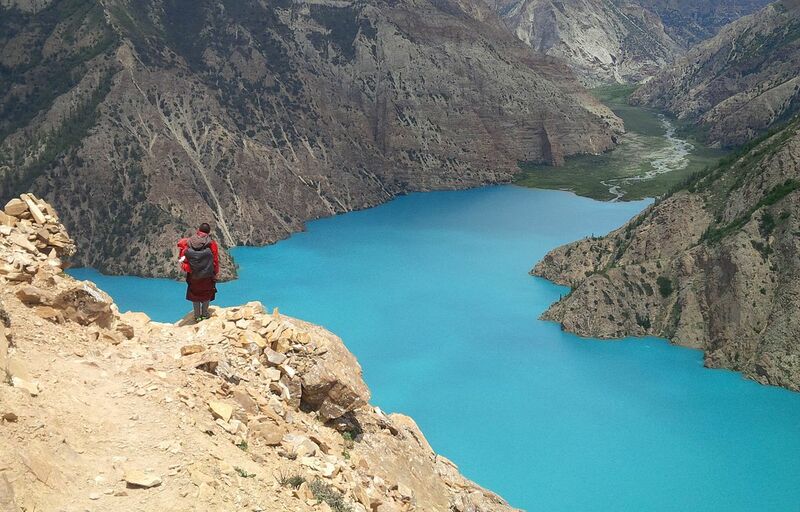 Phoksundo is a fresh water lake located in the Dolpo region of Nepal. It is popularly known as the deepest lake in the country, and makes up for one of the best trekking experiences in Nepal. Reaching the lake isn’t easy either. You need to trek for days and up to 3,612 meters to reach the site. Phoksundo or Shey Phoksundo is an alpine fresh water oligotrophic lake located in the Dolpo region of mid-western Nepal. It lies to the north of Dhaulagiri mountain bordering Tibet and inside Shey Phoksundo National Park. With the depth of 145 meters, Phoksundo is known to be the deepest lake in Nepal. The lake and surrounding was designated a Ramsar site back in 2007. At the lake’ southern end, the village of Ringmo lies on the 30,000-40,000 year old landslide dam that formed the lake. Past the dam, the waters of the lake plunge over a 167 meter tall waterfall, called Phoksundo Waterfall. The lake is rich in biodiversity and also supports various wildlife in the region. Snow leopard, musk deer, Blue sheep, Tibetan wolf and frequently traversing Yak caravans and cattle. Visitors are prohibited from stepping inside the lake, as it is considered a holy site by the local inhabitants. Upper Dolpo is a high-altitude region located at western Nepal. A rain-shadow area, Upper Dolpo receives least rainfall; therefore, most of the terrain resembles a desert like landscape and can be trekked throughout the year. It lays close to Tibet in the North, therefore, the inhabitants, local culture, dialect and architecture, resembles its northern counterpart. The Dolpo people have practiced trading salt through caravans for ages. Eric Valli, a renowned French filmmaker made a movie based on the life of the people of Dolpo, named “Caravan.” It was nominated for Oscars in 1997. Shey Phoksundo National Park, established in 1984, is the largest and only trans-Himalaya National Park in Nepal. Covering the entire Dolpa and Mugu districts, the park is home to some of the most exotic and least seen wildlife. The national park is home to 6 different species of reptiles and 29 butterflies. Snow Leopard, Grey wolf, Musk deer, Blue sheep. Goral, Great Tibetan sheep, Himalayan Tahr, leopard, Jackal,Himalayan black bear and yellow-throated marten dominate the wildlife. Rhododendron, Caragana shrubs, Salix, Juniper, White Himalayan birch and the occasional Silver fir are the most found flora inside the park. Thorong La is a mountain pass located at Damodar Himal in the mid-western region of Nepal. At 5,416 meters, it is known as the highest mountain pass in the world. The access to the pass is only possible on foot, unlike Zatwar La Pass of Ladakh which is accessible through road. Thorong La or Thorung La is situated at the elevation of 5,416 meters in the Damodar Himal and inside the Circuit trail. The pass connects two different villages, Manang and Mustang. It is the highest point you may reach during the Annapurna Circuit trek. It is advised to start the treacherous hike early morning to avoid any worsening weather at the pass. It’s easier to cross the pass from east to west because its safer and you can stay overnight at Thorung Phedi before approaching the highest point. The western side of the pass, Muktinath, is drier compared to the eastern side, mainly because the massive Annapurna mountain ranges blocks the monsoon clouds from reaching the area. Due to its sheer elevation, trekkers are recommended to acclimatize properly before crossing the pass. The safest time cross the pass are March-April and September-November. The weather at the pass is likely to worsen during other seasons, and may bring avalanches, snowfall and storm. The altercation in weather can prove to be fatal to your life. The Annapurna Circuit spanning over 200 meters encompasses into one of the longest treks in Nepal. It may take well over 2 weeks to complete the trek and covers a great sparse of geography. You will get to cross 4 different districts during the trek, namely; Lamjung, Manang, Mustang and Myagdi. You will witness people of varying tribes and ethnicity. The villages, settlements and lifestyles found along the trail may differ in every 30 km. Along with the Annapurna Base Camp, the circuit receives over 130,000 trekkers annually. Mount Everest is the highest peak on earth. It attracts more than 50,000 people in a year to trek through the treacherous trail to reach its base camp. But, there’s more to the trekking than just seeing the Everest. The Sherpa inhabitants of the region, their native culture, rich biodiversity and the sight of humongous mountains are few treats of the trekking. With the commercialization of Mount Everest, the trekking began in late 80s. Since then, millions of tourists have visited the Khumbu (Everest) region; few of them comprising of climbers. Today, the Everest Base Camp along attracts more than 50,000 tourists in a year. Over 5,000 people have summited the Everest. With availability of better logistics and assistance, more climbers tend to join the expedition every year bringing the total summits over 300 per year. Khumbu is mostly accessible through a short flight from Kathmandu to Lukla. Those who wish to map it on foot can arrive through Jiri village. It may well take over 9-10 days to trekking to reach the base camp. However, there aren’t any lodges available in the base camp, hence, you must stay at Gorakshep or Lobuche before approaching it. Namche Bazaar, Gokyo lakes and Tengboche are another major attractions in the region. Namche and Tengboche are accessible through the usual trail, however, you must take an entirely different route to reach the Gokyo lakes. Gokyo is a discreet village located at the western section of Khumbu. The trek is generally strenuous and may require walking over 5 hours a day. It begins at Lukla. The trail aslowly ascends towards Namche Bazaar through Phakding. Namche is the most populated Sherpa town and is known for its luxury lodges, markets and ethnic lifestyle. Hiking around the place or staying a day more is recommended. The trek ascends further towards Tengboche. Tengboche boasts the highest monastery on Earth. The monastery is over 100 years old and the popular Mani Rimdu festival is held every year to commemorate its legacy. Few other Sherpa villages, you’ll come across are Dingboche, Lobuche and Gorakshep before heading towards the Everest Base Camp. You can hike to the base camp from Lobuche in few hours and come back to Gorakshep to stay overnight. The next day, you an make an early hike to Kala Patthar and start descending the usual way afterwards. Anyone from the age 8 to 59 can do this trek, with sound health and proper assistance. Acclimatization is essential to get used to the local environment and altitude. Sir Edmund Hillary and Tenzing Norgay Sherpa became the first humans to touch the summit of the peak, in 1953. 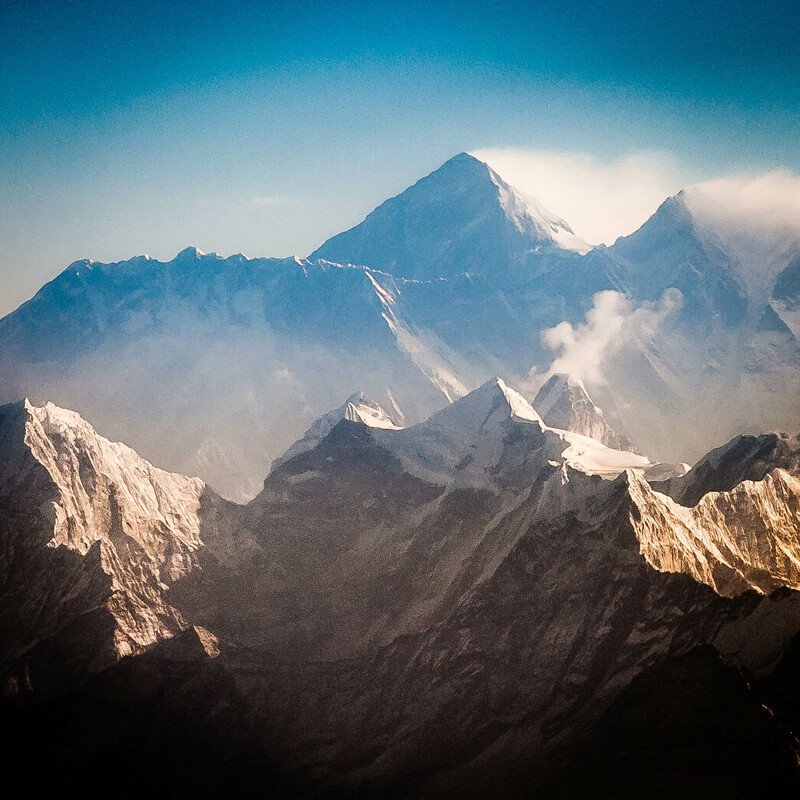 Over 5,000 people have summited the Everest since 1953. The term Sherpa actually signifies the native tribe of Khumbu region. Today, Sherpa is used as a misnomer for porters, guides and such. Over 250 people attempt the summit in a single day every year during the climbing season of May. The disaster of 1996’s at Everest cost 15 lives. The incident was later adapted into the best-seller, Into Thin Air. The popular trekking seasons are Spring and Autumn. They last from March to June and September to November simultaneously.